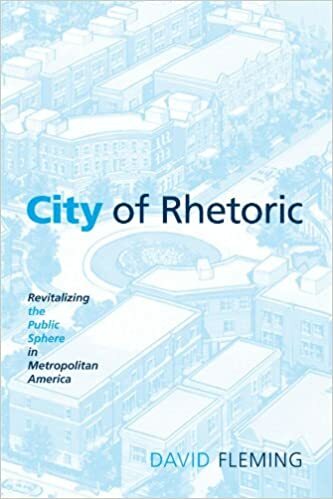 In his last section of City of Rhetoric “Afterword” David Fleming continues his discussion on affordable housing and urban renewal explaining how the efforts that were once being made have been slowing down. He explains how our society seems to be “increasingly unable” (211) to properly talk about such conversations when it comes to “cohabitation” and the importance of presenting that as an “important topic of public talk” (211). Fleming calls out the fact that post 9/11 the last on the list of the government is renewal methods in “public space” in cities such as Chicago. When it comes to minimizing the separation between the groups that are usually divided by race and socioeconomic class it is not being done as frequent as it should be. Fleming’s main point is to advise his audience that separating our society through race, gender and socioeconomic class is dangerous. What is better to do is to inform the youth of our society to do better than we have been doing. Using the argument of the 9/11 attack Fleming brings up the fact that both American and politicians felt no need to do such things as spend money or help the group of individuals who were being discriminated against. He states that people are “afraid of our diversity” (213) which is the reason why their interest have declines for urban renewal and fighting against discrimination and racism. To say blatantly there is this “fear of mixing” with the disadvantaged society. Though Fleming brings up all these facts, during the final pages of his Afterword he states that unbiased/proper urban renewal is something that can occur but it is currently just a hope. Fleming seems to be hopeful for the future stating, “…be always mindful of the power of intervention, creation, and change in human life, the opportunity always before us for a better tomorrow”(214). He concludes his work of City of Rhetoric on a mindful and encouraging note, stating that it is important to be optimistic and proactive in the line of change in order to make the change we want to see. Fleming brings up the fact that “young people” need to experience what it means to be a “strong member of the public” and once they become such members demand the change.